A light rail line going by USC–the Exposition Line–has been under construction for some time now. For a considerable time, the site featured a sign that said the line would open in 2010. Now the estimates are that it will open some time in 2011 or 2012. At the same time, when I walk by the project, I can’t say that the workers building it show a great deal of, shall we say, urgency about getting the thing done. At the same time, I don’t hear a lot of people who are upset about how far behind schedule the project is. Maybe this is because no one is planning to take the Expo Line. Maybe it is because peoople have such low expectations of LA Metro that they are not surprised, and therefore not outraged. Either way, it suggests a problem. First off, it’s a bad idea to conclude anything about work effort based on what you observe by walking by. That’s like the people who judge professors by saying we “only teach two hours a week.” It’s not a valid sample, and it’s very had to evaluate other people’s work effort when you have never done the job yourself— and that’s particularly true of white collar workers passing judgment on blue collar workers engaged in dangerous and often tiring work–during a recession, no less, where anything that extends their work hours has direct implications for their family’s ability to eat and pay rent (unlike salaried work). More to the point, Richard is mistaken when he concludes that people are not upset. The LA Weekly recently published a story called L.A.’s Light-Rail Fiasco which eviscerates the CEO of the Exposition Metro Line Construction Authority, Rick Thorpe, for salary and his conduct. Rick Thorpe is exactly the sort of transit guy who becomes a free agent and CEO: relentlessly self-promotional and confident, any previous successes get attributed to his leadership. So he picks up stakes, gets recruited away, commands an enormous salary, and builds a brand for himself that he delivers projects on time and on budget. The reasons behind the fiasco are as numerous as they are complex. But at its core, it’s a simple story: Somebody had a clever new idea, and it backfired. In this case, that somebody is Rick Thorpe, CEO of the Exposition Metro Line Construction Authority and one of the leading lights in light rail. He sold elected officials on a new type of contract, which he said would bring the project in cheaper and faster than it could be done by traditional means. Colleagues from other transit agencies warned that the idea might not work. In the name of holding down costs, it could inadvertently create incentives that would drive costs up. But Thorpe pressed ahead anyway, and the elected officials charged with overseeing the line put their faith in his expertise. Now, four years into the project, the results are plain. Thorpe and the MTA board argue that the contracting approach does, in fact, work. It is a process of negotiated design-build that, in Thorpe’s mind, prevented contractors from getting windfalls as they sometimes did under the design-bid-build process that has been industry go-to contracting process for a long time. However, the project where Thorpe’s innovation is supposedly working is not just behind schedule: it’s now 40 percent overbudget (to the tune of $260 million). As CEO of the Expo Authority, Thorpe oversees a staff of 15 and earns a salary of $334,000. He makes more than the CEO of the Metropolitan Transportation Authority, who is responsible for 8,000 employees. Thorpe’s self-branding that captured this salary is one of the major flaws of leadership both in the public and in the private sector. Once shareholders or board members believe you are some kind of magician, and they will if you are fortunate and if you blow your horn hard enough, competence is no longer enough. And as anybody who has built anything or completed any public project knows: 1) given all the barriers and problems, it’s amazing that anything gets built, ever, let alone on time and on budget, and 2) nobody, no matter how smart, confident, or charismatic gets anything built all by themselves. It takes a team, and while teams need managing, it is really easy to overstate and overcompensate the contributions of management when things go right and to make excuses when things go toes up. There is another side. Why shouldn’t public managers good at their jobs make more than doctors or other professionals? Thorpe is a CEO, after all, and this is a major project, and major projects are tremendously hard to deliver, and private-sector CEOs make much much more. However, the management and incentive contradictions emerge quickly. If you are paid $300+K a year to run something, your desire to finish it on time–particularly when you still have a board that rushes to your defense and you are no longer a hungry young guy building your brand–is low. Unless there are bonuses in Thorpe’s contract for on-time performance, he has little reason to protect the project from delays at this point, given all many reasons why projects get delayed in construction and the halo surrounding him personally. Moreover, if you make your money because you are such an excellent manager, there is also the desire to innovate practices that reinforce the need for *management* on this project and future projects. And from the what the LA Weekly reports, this “make management work” approach is right at the center of the problem. Instead of hammering out the details of the contacts up front–as with traditional design-bid-build contacts–Thorpe’s “negotiated design-build” requires the agency to keep their hands in project management more so than under traditional design-build where they would have been managing the contracts primarily–instead of negotiating as they go along. In the end, I’ve always argued that there is very little wrong with the design-bid-build process.The US built most of the Interstate system with the approach and most existing transit, water, sewer, and other infrastructure this way. Where Thorpe sees the potential for “windfalls”, I see an incentive for construction companies to keep costs down so that they can increase profits. In the hands of a competent agency contract manager keeping track of the as-builts and project specifications, you shouldn’t end up with a poor-quality project. Instead, you provide an incentive on the part of the construction companies to keep employees hopping and to strike hard bargains with suppliers in the hopes of getting in under budget so that you can walk away with that the built-in cushion. The bidding process keeps companies from building in too much of a cushion. Innovations here have almost always struck me as cases of fixing something that wasn’t broken–to the overall detriment. One of the things that I think we have to figure out, and soon, is proper regulation of financial markets, if we are going to climb out of the hole we are in. In many circumstances, I tend to argue that regulations are too inflexible to deliver good policy. But in financial markets, a certain amount of standardization at this point–perhaps with sunsetting–would make a lot of sense. 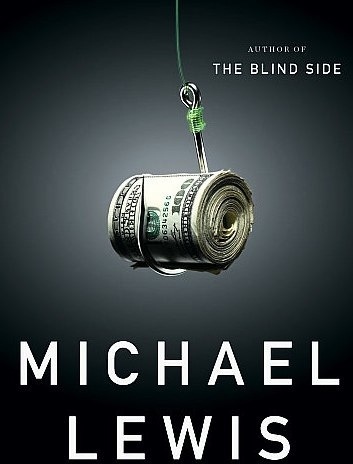 Nobody makes that case better than Michael Lewis in The Big Short: Inside the Doomsday Machine. There is much to kvetch about in this book: I get weary of the ‘hero’s journey’ take that writers like Lewis adopt in order to tell their stories journalistically rather than using evidence. And it’s a pretty one-sided book. Yet, I sat through seminar after seminar after seminar with economist after economist after economist who couldn’t explain WTH happened as clearly as Lewis does in this book. That’s a real gift, and a real contribution to the discussion about how to go forward.